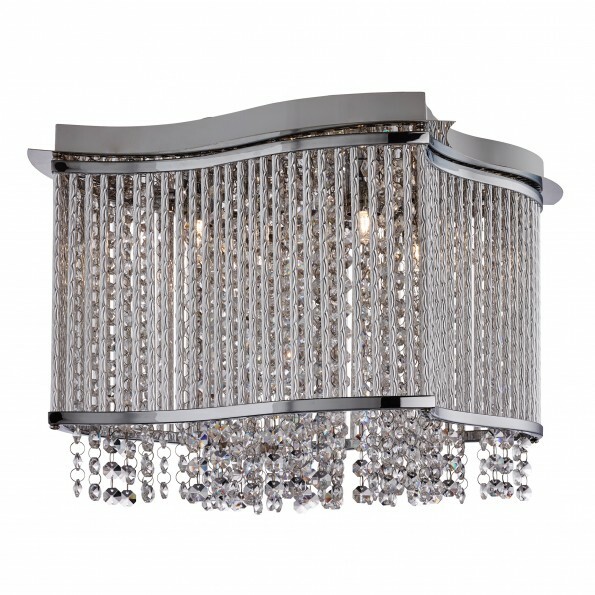 This Elise Chrome 3 Light Fitting with Crystal Button Drops and Diamond Tubes Trim is a stunning centrepiece for any main room. 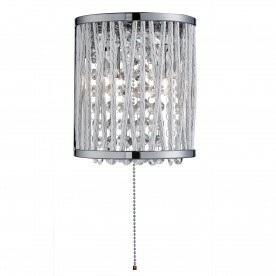 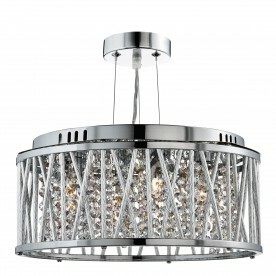 The stylish fitting features an abundance of crystal trimmings dangling within an elaborate curved cage finished in chrome with diamond-style tubes. 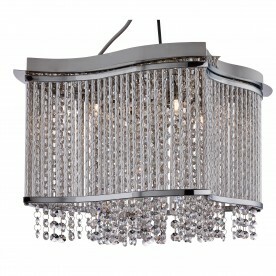 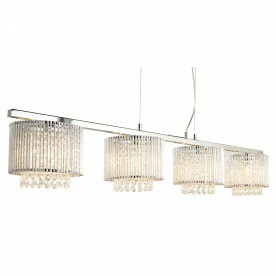 This modern chandelier is large and imposing, with three internal lights that bring the entire piece to life.